With over half of the world's population now living in urban areas, the ability to model and understand the structure and dynamics of cities is becoming increasingly valuable. 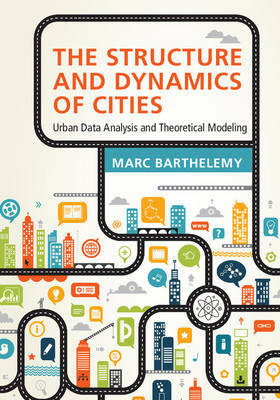 Combining new data with tools and concepts from statistical physics and urban economics, this book presents a modern and interdisciplinary perspective on cities and urban systems. Both empirical observations and theoretical approaches are critically reviewed, with particular emphasis placed on derivations of classical models and results, along with analysis of their limits and validity. Key aspects of cities are thoroughly analyzed, including mobility patterns, the impact of multimodality, the coupling between different transportation modes, the evolution of infrastructure networks, spatial and social organisation, and interactions between cities. Drawing upon knowledge and methods from areas of mathematics, physics, economics and geography, the resulting quantitative description of cities will be of interest to all those studying and researching how to model these complex systems.